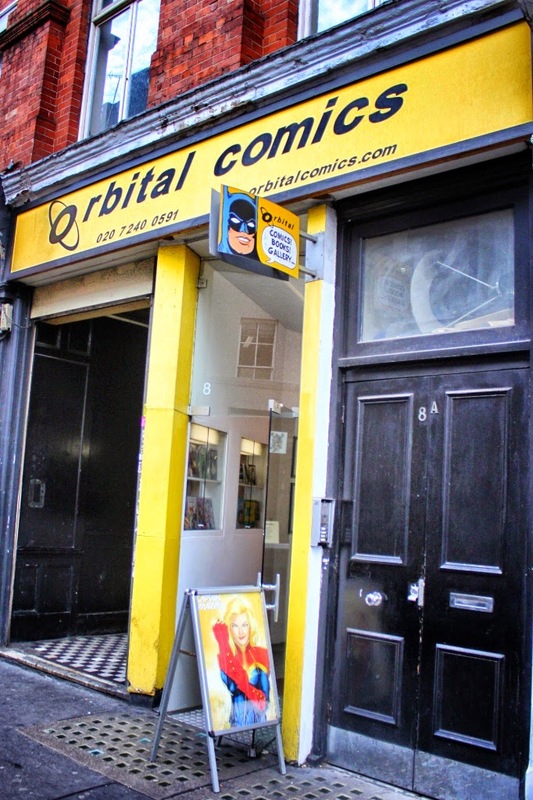 Wednesday is new comic book day and before my Rock'n'Roll London Pub walk on a Wednesday evening, I pay a visit to Orbital Comics on Great Newport Street. In terms of 20th century culture, Great Newport Street, for all its brevity, has its fair share of cultural landmarks. Ken Colyer's jazz club once stood at No.11-12 – as I blog it is under scaffolding but there is a green plaque marking the spot. The club – Studio 51 – had connections not only with the world of trad jazz, but also with the Rolling Stones. For postwar Brits in thrall to Americana, Studio 51 was a little bit of New Orleans in London. The Arts Theatre in Great Newport Street (currently playing host to Ghost Stories) was where Samuel Beckett's Waiting For Godot enjoyed its English language premiere in 1955. In the 40s and 50s it was a club theatre where more radical themes could be explored outwith the jurisdiction of the censor, the Lord Chamberlain. The memorial to crime writer Agatha Christie is situated at the eastern end of Great Newport Street. 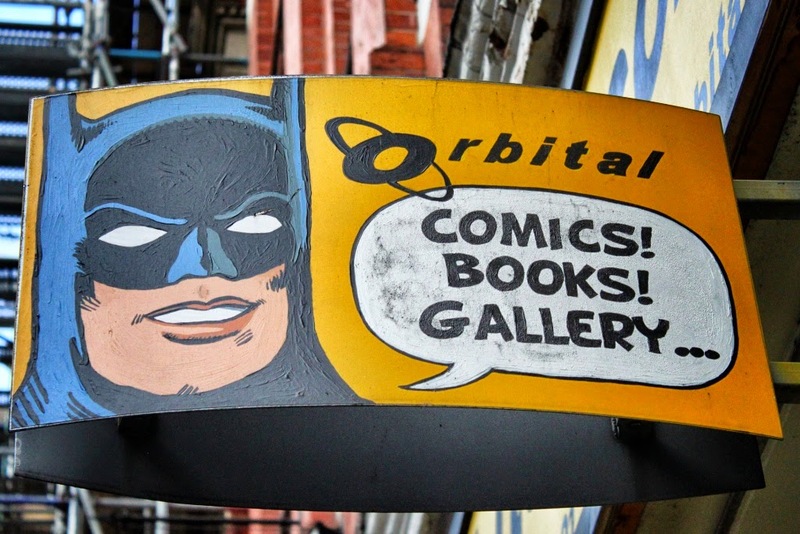 Number 8, where you can find Orbital Comics today, was once the home of The Photographer's Gallery, the world's first gallery dedicated entirely to photography. The street has long been associated with art and artists – Sir Joshua Reynolds and the portrait painter George Romney among them. Add up the elements and, both historically and thematically, it's the perfect location for a comic book store; it has a long association with artists; it's been a place of pilgrimage for those of us who love American culture; a much-loved writer, whose low standing among literary critics is at odds with her popularity, is commemorated here; Great Newport Street has been home to creatives who wish to push the boundaries of their art but have often struggled to work under censorship. All of these things ring true in the world of comic books and their creators. So Great Newport Street is where you'll find me of a Wednesday – new comic book day. It's a lot easier for comic book fans to get their fix these days. Back in the 50s new, gloriously lurid American comic books arrived in this country as ballast on ships. Coming soon on our Cartoon & Comic Book Tour of London… Sir David Low… The League of Extraordinary Gentlemen… and the acclaimed Über, an ongoing WWII alternate history comic book series from Kieron Gillen and Canaan White. I remember going to Ken Colyer's jazz club!